Highly recommended for vintage bikes. Great grip dry and wet, very neutral handling, and the feel stays great all the way down to the wear markers. Incredible value. Only downside is that they don't last as long as some more expensive brands. If you ride a ton of miles in a year or have to pay to have tires mounted, your cost per mile may be better with a more expensive tires. I'm getting about 3,000 - 3,200 miles per set on my 1983 Suzuki GS850G, but I ride VERY hard. Normal people usually get close to double the mileage. After mounting the front tire which does match the rear installed earlier, the difference in ride and handling is amazing!! So far it just flat out out performs the Dunlop i had on the machine!! You simply cannot go wrong with these tires!! I normally run the Avon Cobras on my Valkyrie. I've heard some good things on the forums about the wear and handling of the Shinkos. I thought I would give them a try. The price was much less than the Avons, and so far the handling has been good. I just installed it a couple of weeks ago, so only have a couple hundred miles on it. Will see how long it lasts. Great price and quick and free shipping from Rocky Mountain ATV! Good tire for the money. 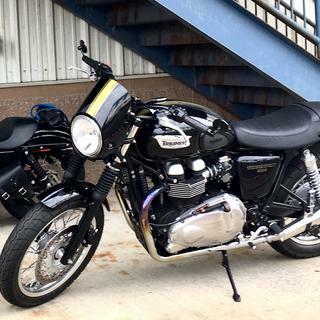 Mounted these on my 2013 Thruxton 900, partly because the vintage-ish tread design, and I don’t intend to do any track days...LOL. So far so good. Got caught in a squall last week riding home from work and the wet performance was surprisingly good. I have ridden in very heavy rain, and this tire did the job. Has as much tread life as tires that cost twice as much. So far the tires handle well and seem to be of good quality. Great front tire for the money! The wear is decent and is super grippy! 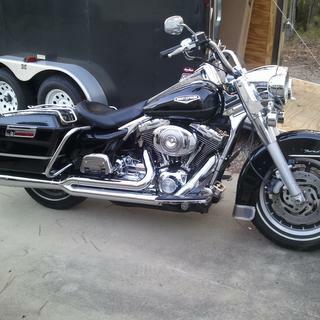 Just installed the tires on the bike still need to ride it. Was very pleased with the price and service getting them quickly. This tire is easy to recommend because it's such a great deal for the money! 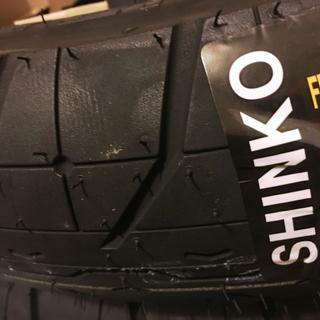 The Shinko works well on The King! 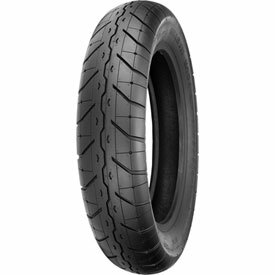 I purchased a front tire 120/90/17 Shinko 230 tour master,for my Honda Shadow Ace, very pleased, I recommend buying this tire, I will defiantly purchase another one when this one wears out. Jake Wilson.com is my motorcycle shopping online store. 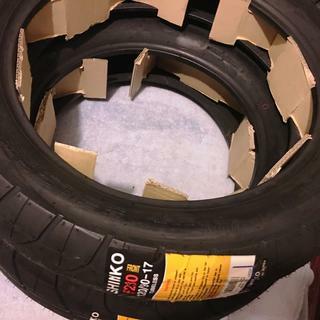 On the suggestion from my fellow riders at HondaShadow.net, I decided to purchase a set of Shinko 230 Tour Masters for my Honda Shadow 750 ACE. Rocky Mountain ATV & MC came through for me in a big way by quickly responding to an email regarding availability of the tires, and then having them at my doorstep in two days. The Tour Masters look great and outperform the 404's by a long shot. I'm extremely happy with my tires and Rocky Mountain's attention to customer service will keep me coming back. Fast shipping great price. Waiting for existing tires to wear out before installing. It mounted like a dream, it rode like a dream, it handled better than I thought it would. Giving life to an old bike. So far so good. I've only been able to put about 250 miles on the tires, corner grip is getting better every ride. I am very pleased that it did not take a lot of weight to balance the tires and that they run true. Good tire for the price. I would definitely buy it again!! I put a set of Shinko 230 on this spring they are out preforming the Dunlop 404 in corning, wet traction, and durability. The only negative thing is steel grating bridges it can get squirrelly! I would buy again!!! I like the front tire. It has great grip and performance. It is not perfect and it does wander some on grooves. Great tire for the money. Longevity is good too. Good quality tire. Easy installation. Sticky rubber grips the road very well. Aggressive and modern tread design. High speed road test @ 80 mph revealed no shimmy or vibrations. Mounted with balance dot on valve stem and performed a static balance which required no balance weights. Good quality tire along with great price. I will buy this tire again instead of the higher priced brands. I replaced both front and rear tires on my bike. I had 7000 miles on a set of Dunlops and decided to put on these new Shinko tires. I noticed right off that the bike felt like I was riding on foam rubber. The bike did not hold the line as good as with the old tires. The mechanic who installed the tires said it was because of the release agent on the tires, and as with all tires, it would wear off in the first 100 or so miles. Later I was riding in town at 30 MPH when the vehicle in the next lane suddenly came into my lane. My front wheel locked up, but I managed to keep the bike up and recovered. I am going to give these tires a bit more time to see if they will wear off the release agent and start performing better, but I would suggest being very careful with these tires, at least for the first 100 or so miles. As a side note, I replaced both tires on my other bike with Dunlops, and have had none of these same issues. After having this tire for 8,500 miles now It has outlasted my Dunlop 404. It rides verey smooth on all types of pavement, keeps its line thru corners very well. It does like to be kept over 40 lbs of air. The rain doesn't seem to bother, it grips much better then my Marathon 880 in the rear in both heavy and light rain. Can I run a tube inside this brand tire? BEST ANSWER: Yes, I have spoke rims and run a tube in this tire as well as the rear. Love the tires, just ordered another set for my bike. Of course! But it can also be run tubeless if you have the appropriate wheels. You can run a tube inside of it just about any tubeless tire if needed. What is the difference between a h a v? BEST ANSWER: It will be the speed rating. H speed rating is 130 mph and V speed rating is 149 mph. If you select a size it show the exact details in the product details.